Someone at Bloomsbury has really got the measure of me. 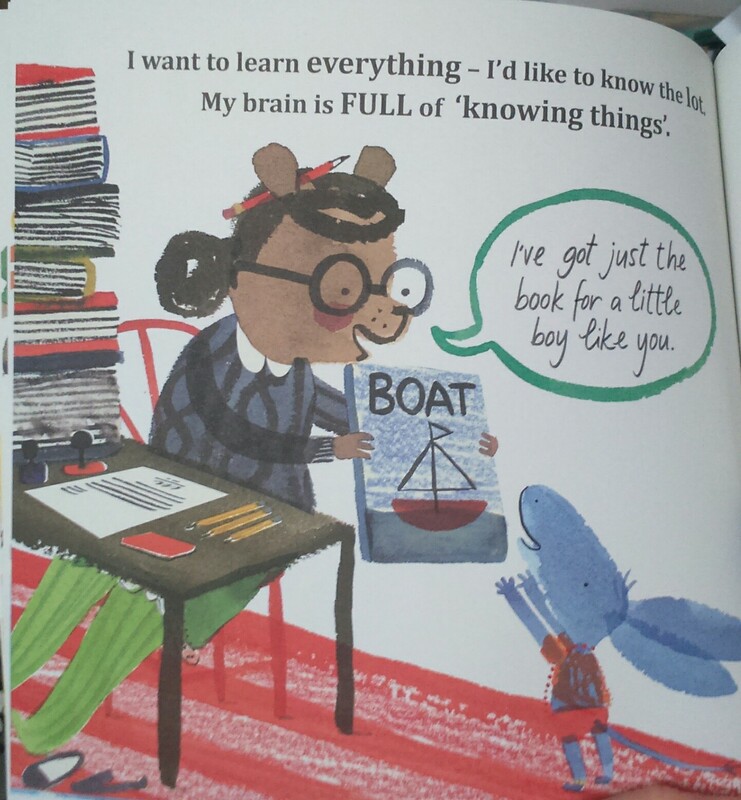 I can’t otherwise explain the fact that they sent me a picture book (which I don’t normally review) all about challenging gender stereotypes. I’M A GIRL! 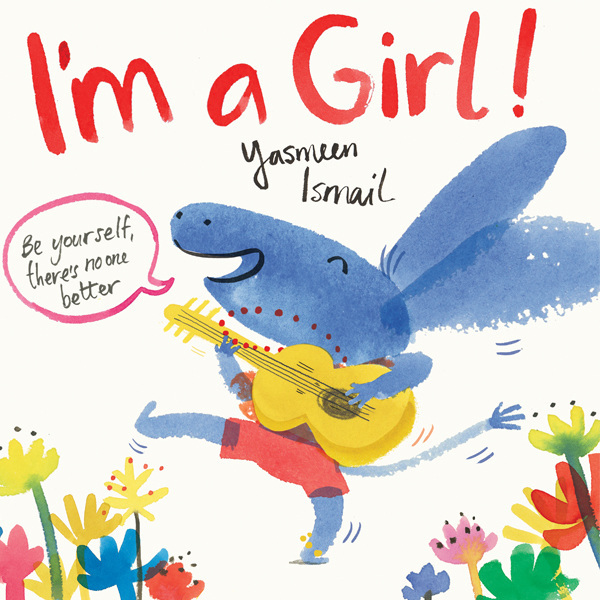 by Yasmeen Ismail is probably the most outwardly feminist picture book I’ve ever read – and I love it. The blue donkey* (I initially thought it was a rabbit, but someone on Twitter pointed out my mistake – not Yasmeen, she was far too polite to say! Apologies. I am clearly terrible at identifying animals. Not that it really matters what she is) in the book is a girl – but she likes to win, she likes to race, she likes to be loud, she likes to splash – and she’s constantly mistaken for a boy. Because, gosh, girls don’t do all those things, do they? And she’s blue, and wears shorts and a string of beads, so that’s confusing for anyone, right? To use a popular acronym, FFS. Which is what this girl would say, if it weren’t a picture book. Thus, naturally, losing the race – but MAKING HER POINT. and like to play with dolls. GIRL does not equal a set of conditions, and shouldn’t. At the end of the book, the female donkey meets a male lion, who wears a grass skirt and shakes maracas and proudly proclaims ‘I’m a BOY!’ just to prove that actually, boys are just as at risk of this stupid stereotyping as girls. 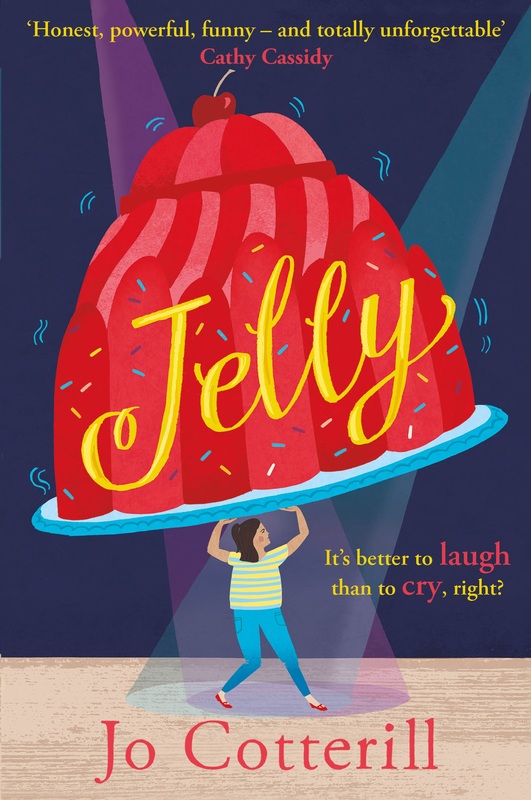 I’m making the book sound all worthy and morally important, which of course it is, but it’s also a beautiful, fun story, with stunningly bright and cheerful (and anarchic) illustrations. It reminded me of finger-painting (I mean, it’s way more sophisticated than that) and there’s lots of white space so that the illustrations really zing off the page. Teachers, get this for your KS1 and Reception classes. Parents, get this for your kids (girls AND boys). Anyone who cares about equality and moving forward and helping to make our society better for everyone, spread the word. I’M A GIRL! can help to change the world. Whilst brightening it with stunning colours and fab pictures at the same time.